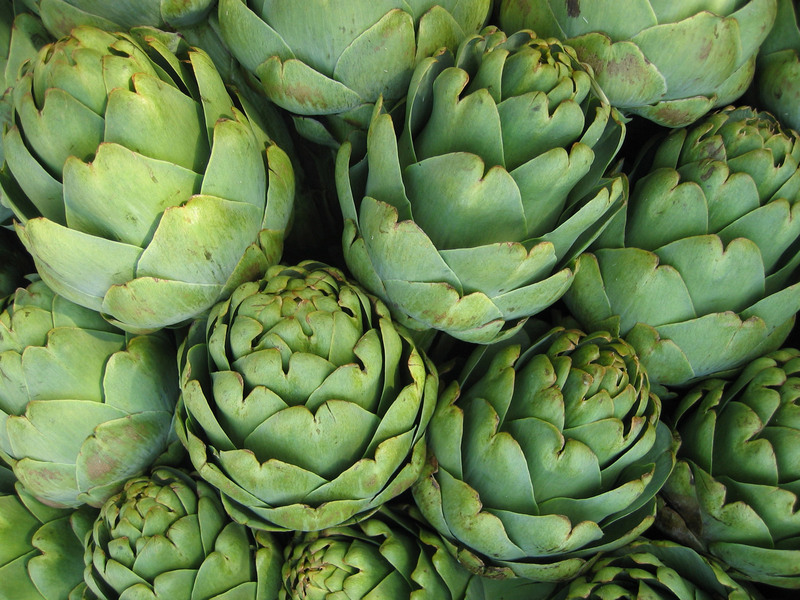 Bend back outer petals of artichokes until they snap off easily near base. Edible portion of petals should remain on artichoke heart. Continue to snap off and discard thick petals until central core of pale green petals is reached. Cut off stems and top 2 inches of artichokes; discard. Trim outer dark green layer from artichoke bottoms. Dip or rub all surfaces with lemon juice. Remove center petals and fuzzy centers. Heat oil in skillet or wok. 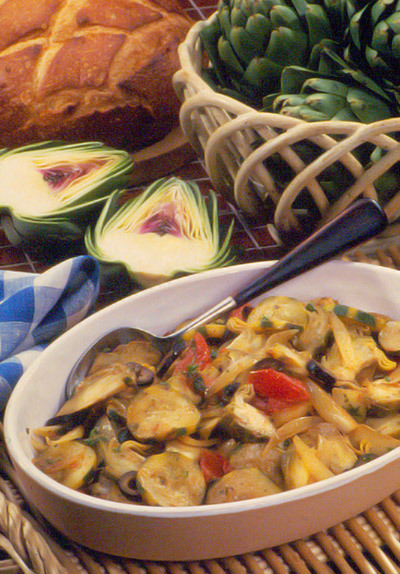 Add artichokes, zucchini and onion; stir-fry until vegetables are tender. Add tomato, olives, parsley, oregano, salt and pepper; stir-fry until thoroughly heated.